A supporter from the "Yes" Campaign cries into his knees as he sits in George Square in Glasgow, Scotland September 19, 2014. The "Yes" Campaign bid to win independence for Scotland, failed. 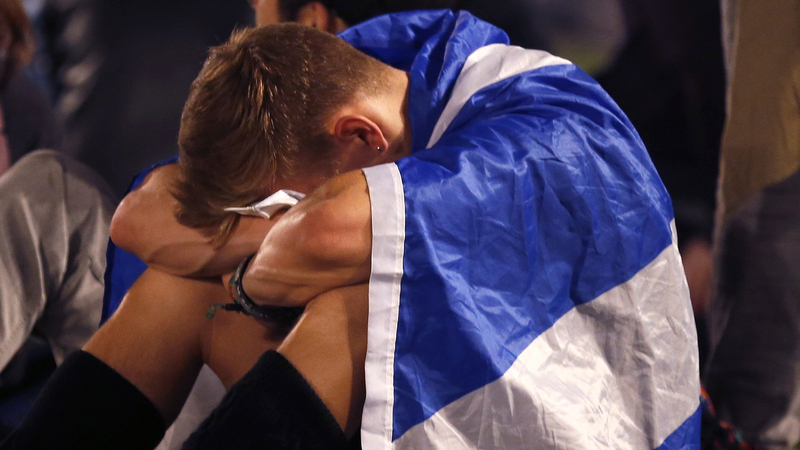 A supporter from the "Yes" Campaign cries into his knees as he watches election results in Glasgow's George Square. The "Yes" campaign's bid to win independence for Scotland failed by a 55-45 margin.